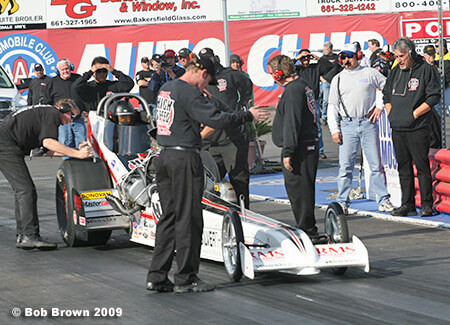 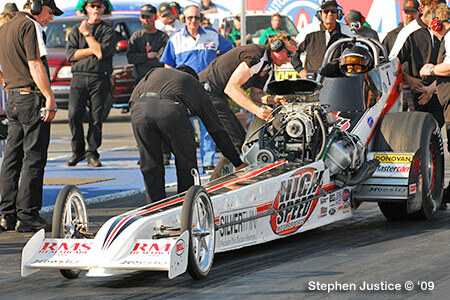 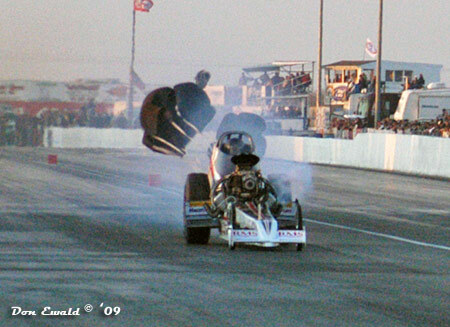 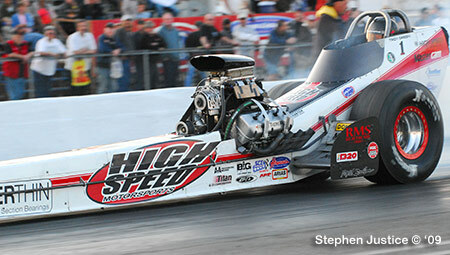 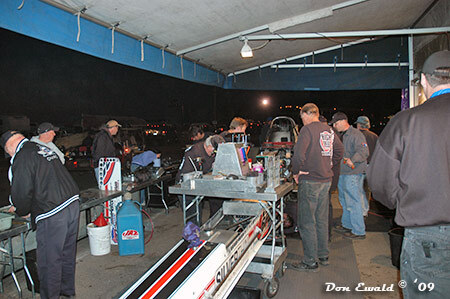 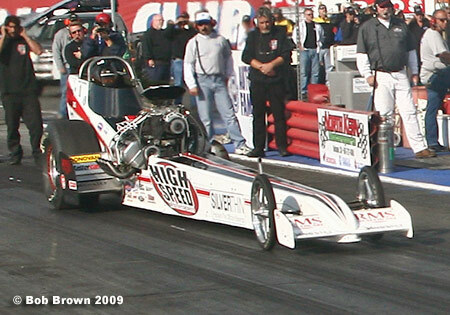 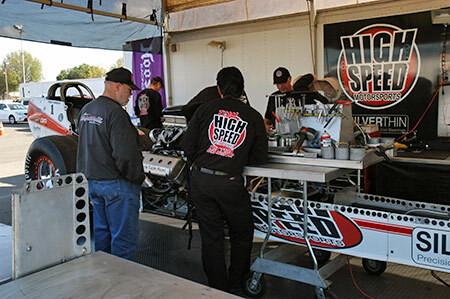 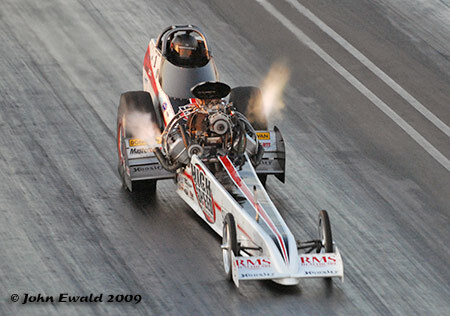 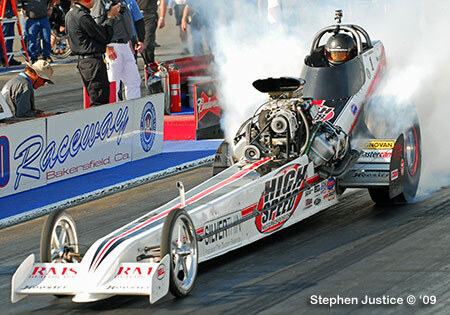 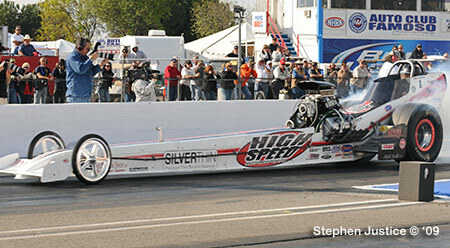 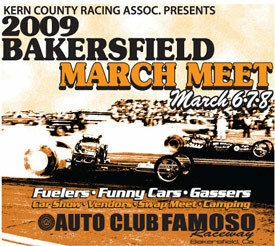 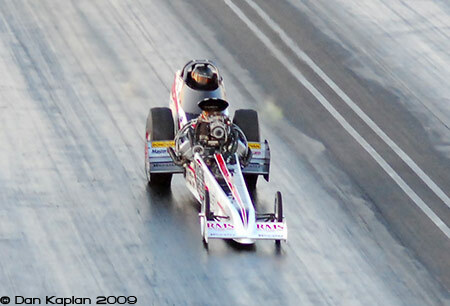 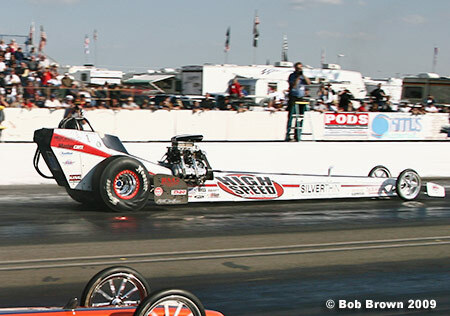 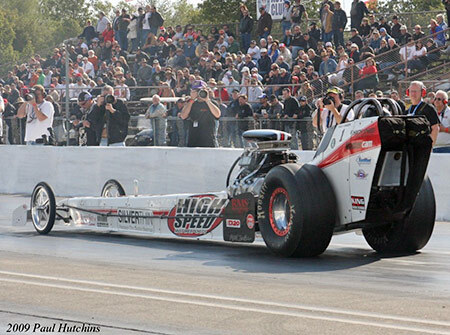 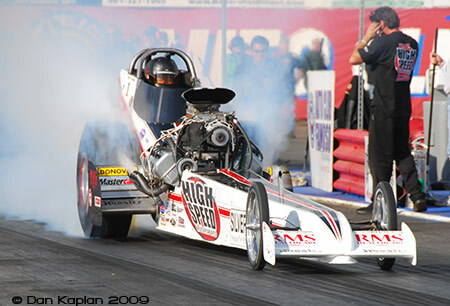 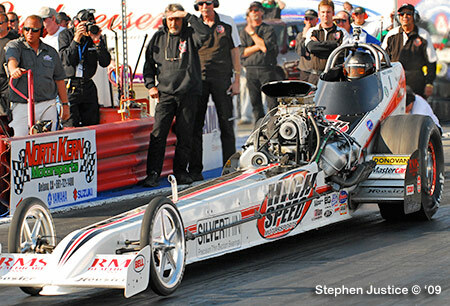 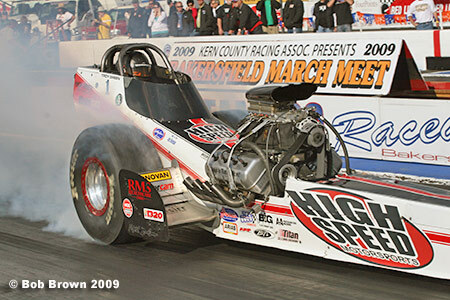 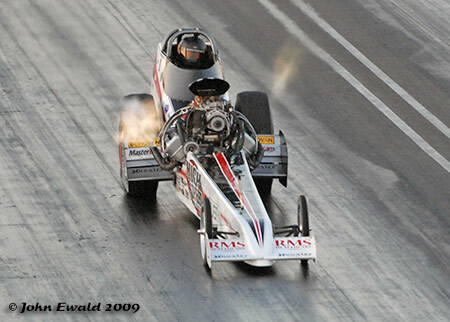 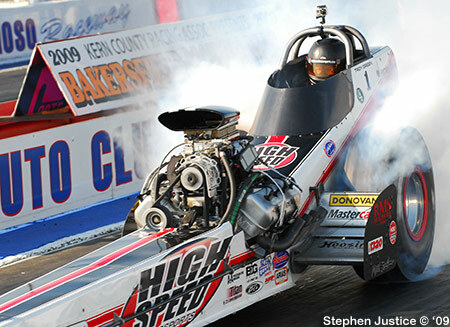 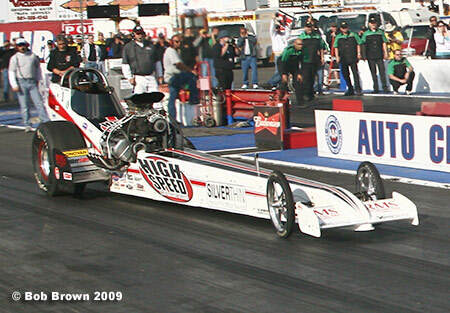 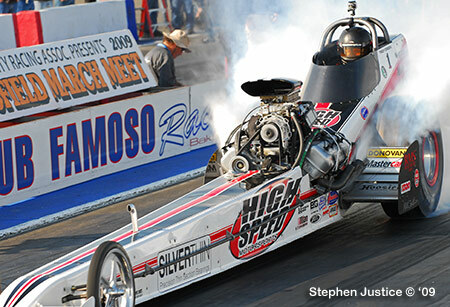 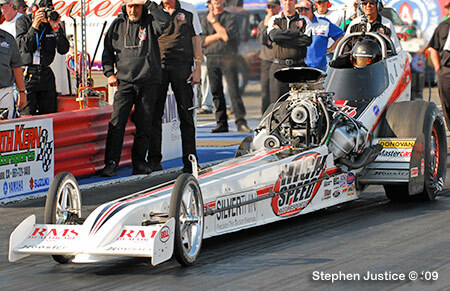 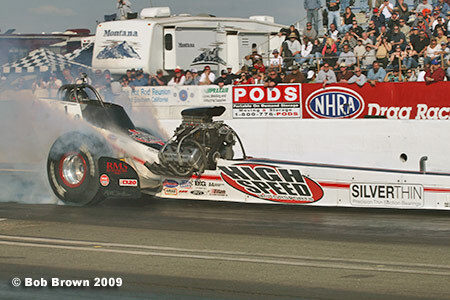 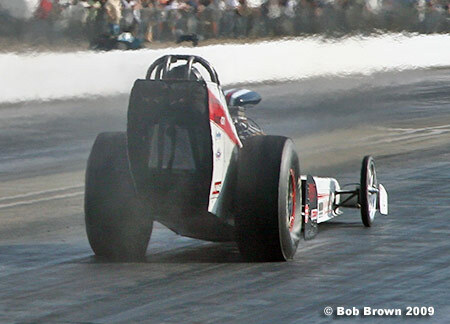 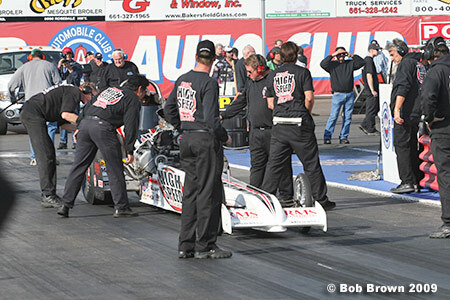 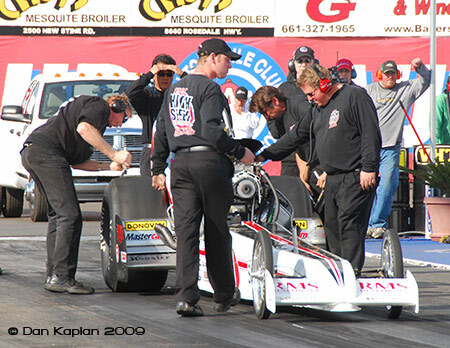 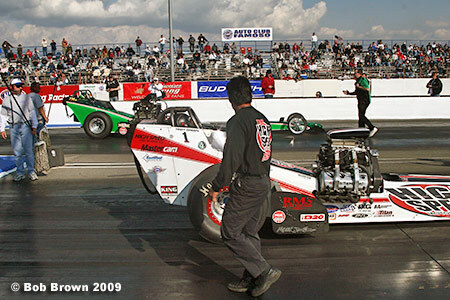 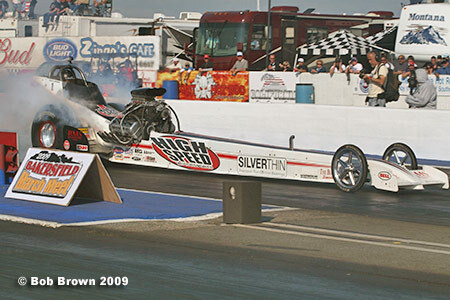 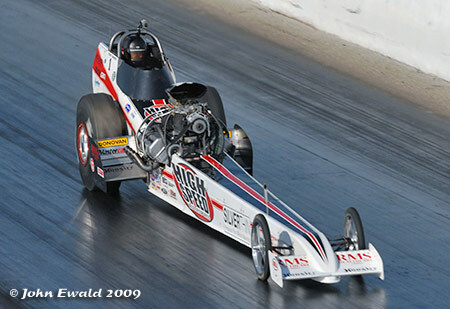 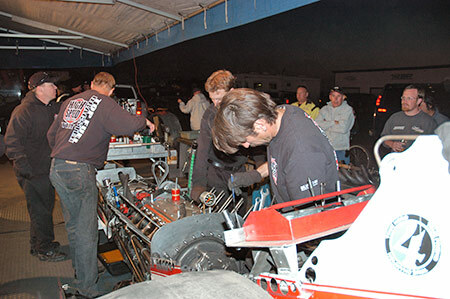 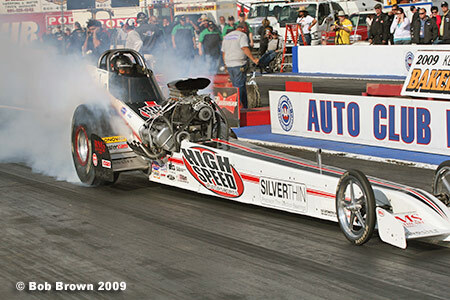 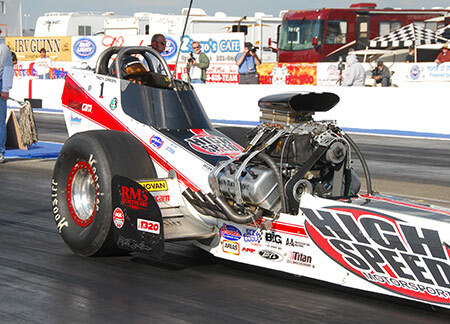 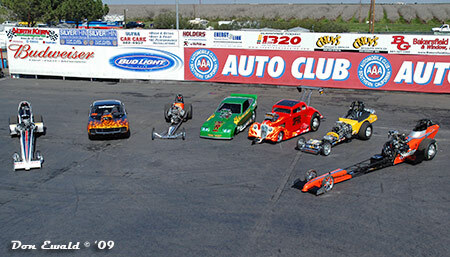 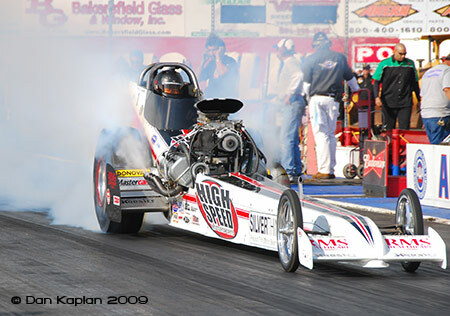 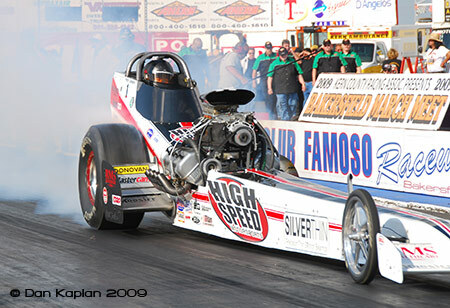 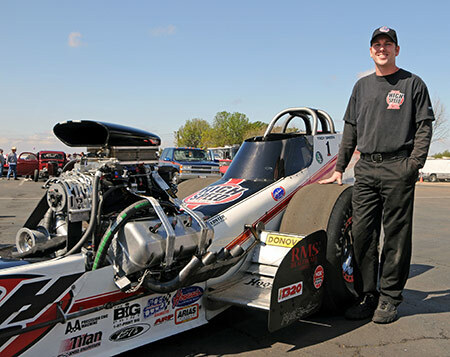 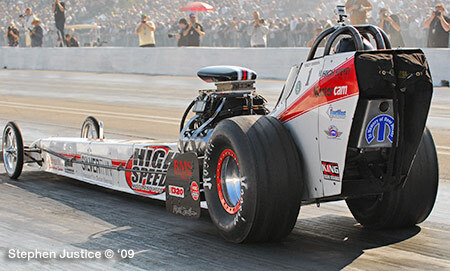 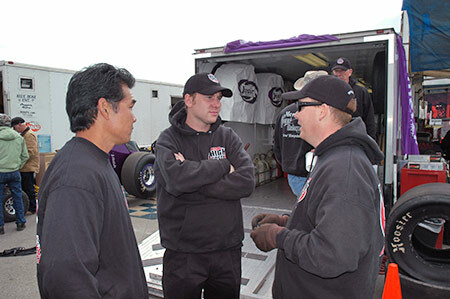 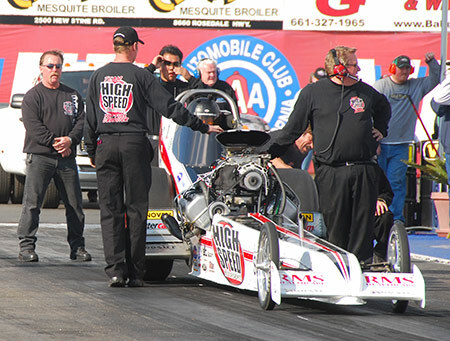 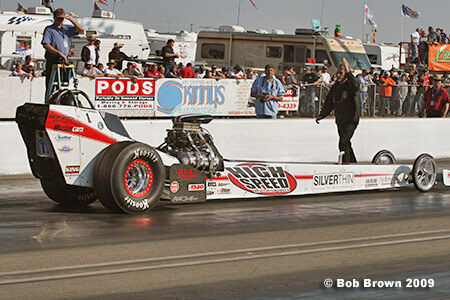 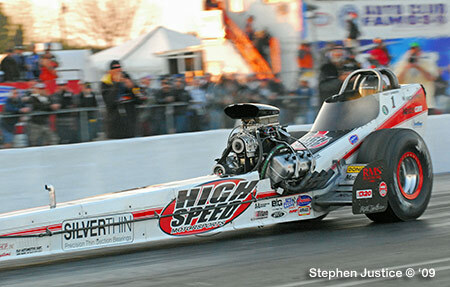 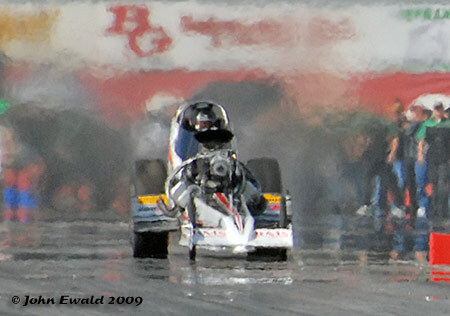 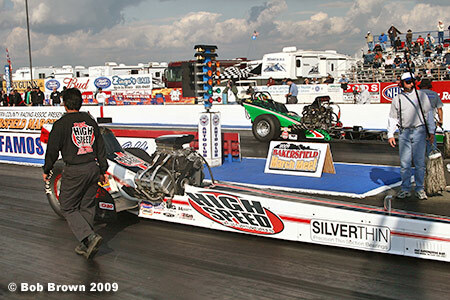 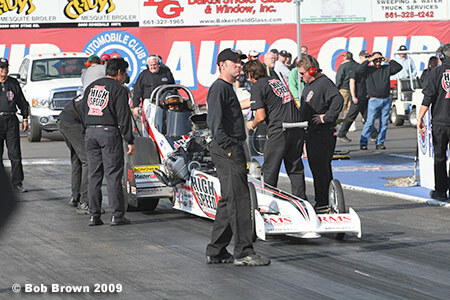 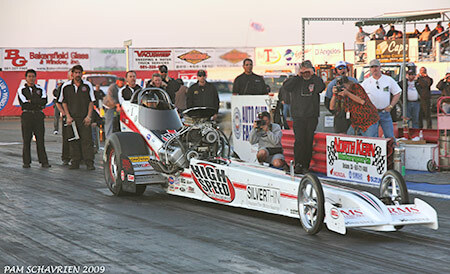 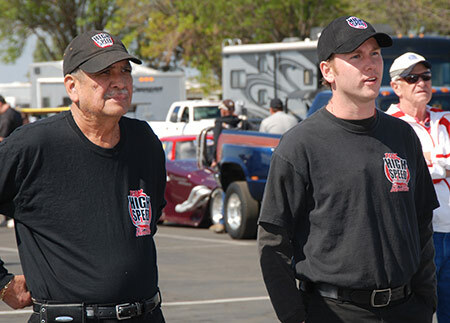 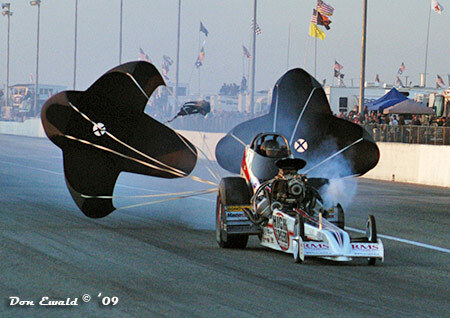 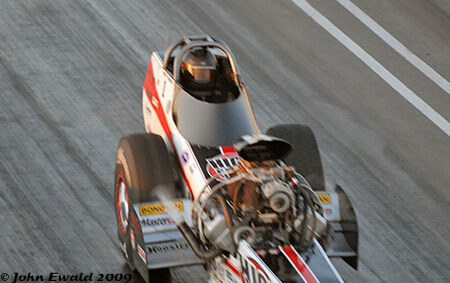 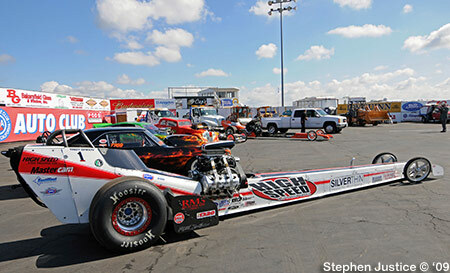 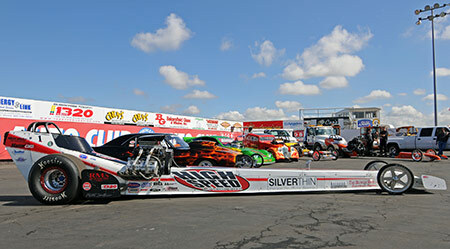 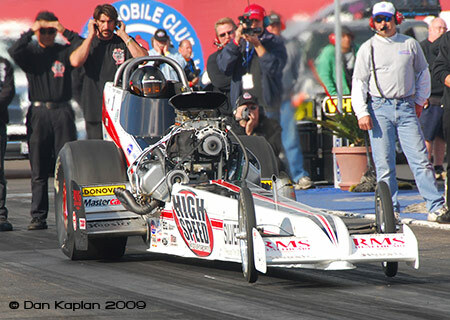 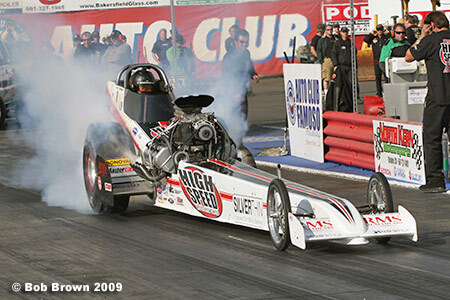 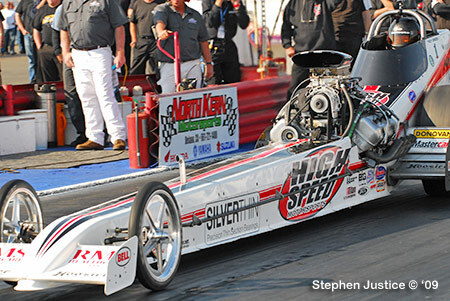 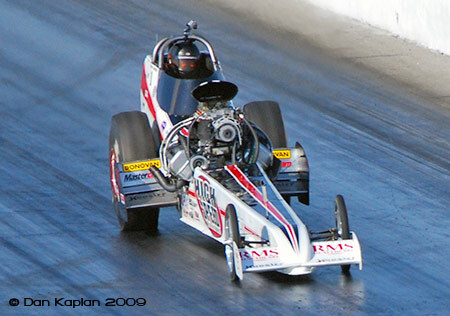 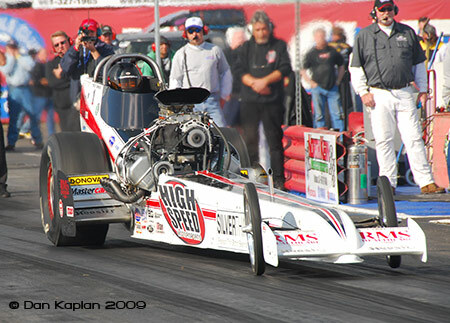 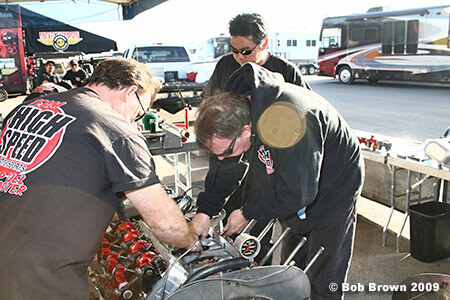 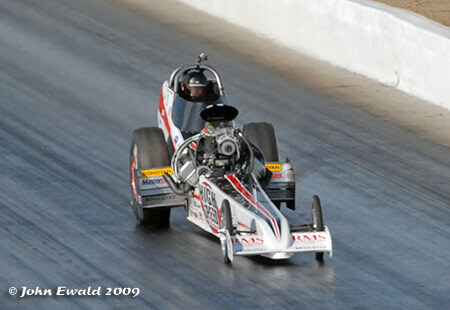 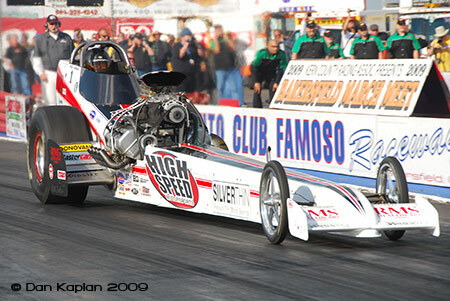 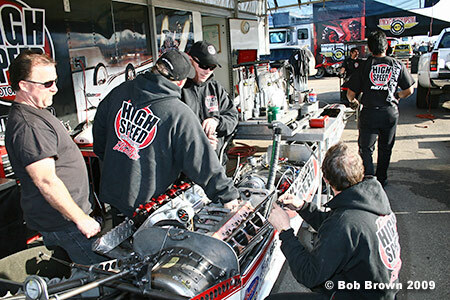 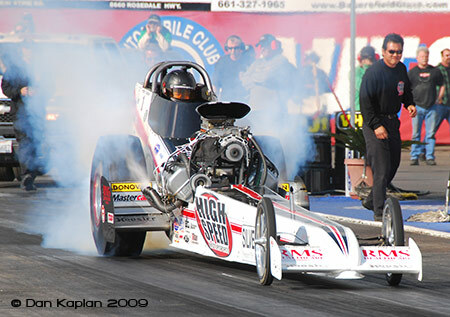 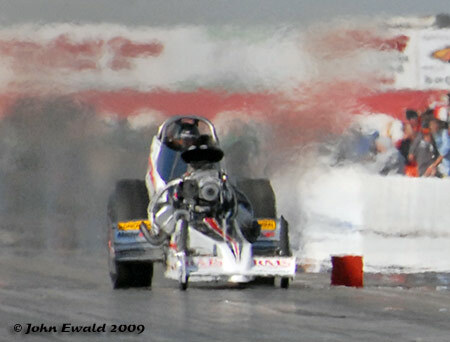 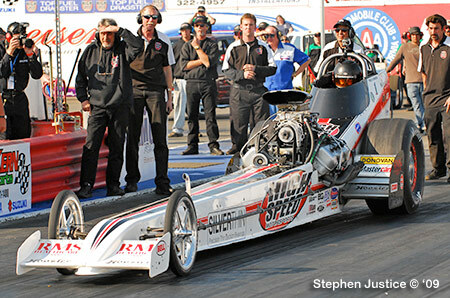 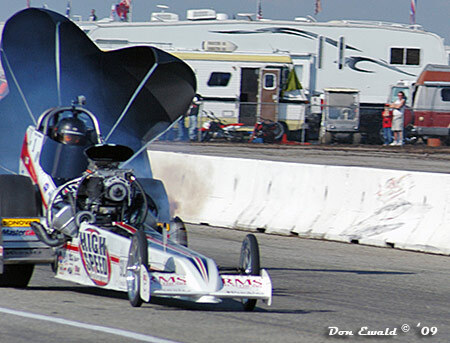 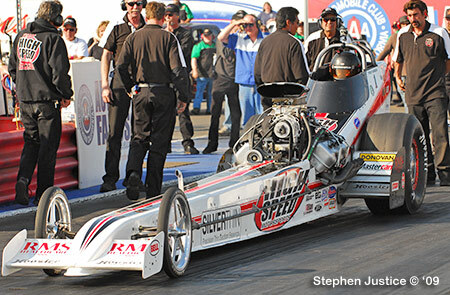 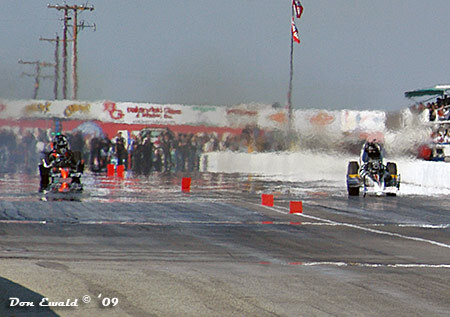 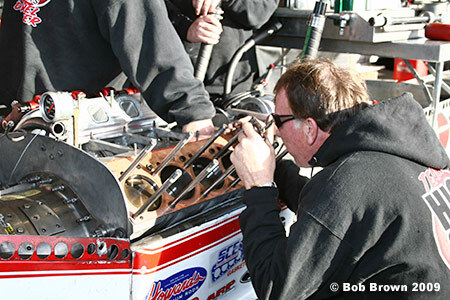 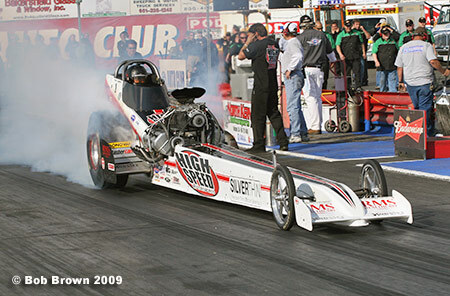 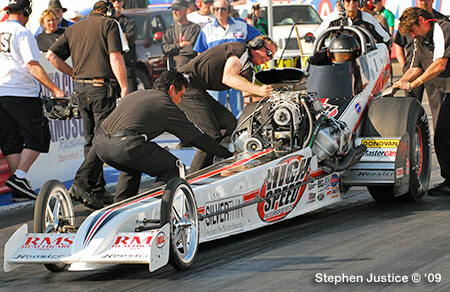 Bakersfield, CA - March 06-08, 2009: Tory Green and the High Speed Motorsports team came into the 51st anniversary of the March Meet with every intent of winning the event and getting a jump on defending their 2008 NHRA Hot Rod Heritage Racing Series Top Fuel Champion title. 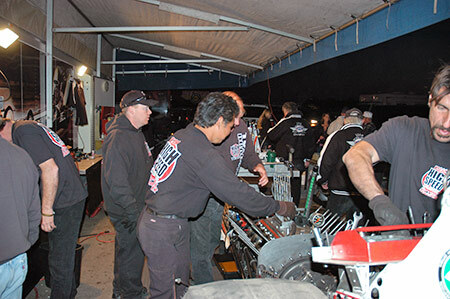 Things didn't go exactly as hoped but with a good qualifying position and second round loss they are still looking good with three events to go for the 2009 crown. 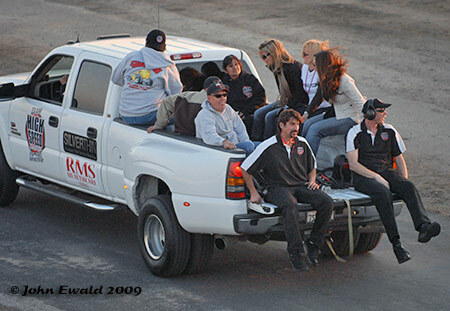 As defending champions, Green and the team were in high demand for pre-race publicity and media appearances. 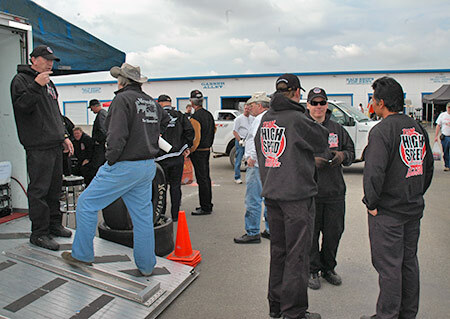 On Thursday the car was featured for the annual Media Day with prominent city and state officials and all the local TV stations and newspapers in attendance. 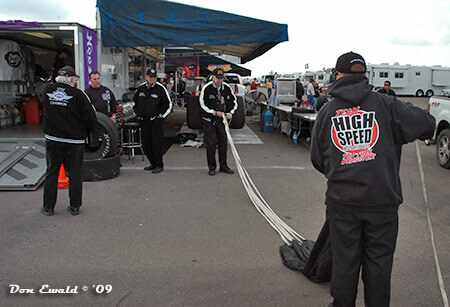 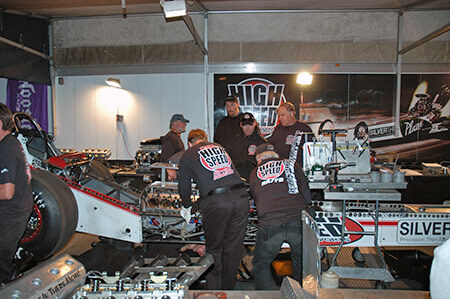 With most of the team including driver, Troy Green in transit, representing HSMS was CEO Dale Singh, co-crew chief and test driver Sean Bellemeur and Team Manager Tom Shelar. 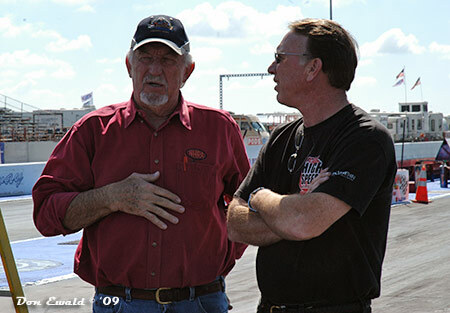 Steve Gibbs and Tom Shelar. 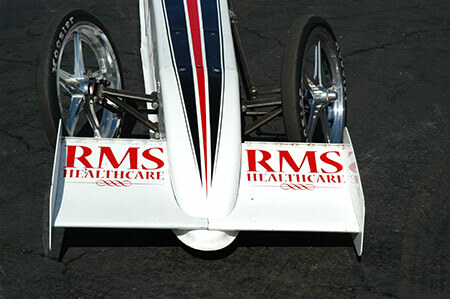 The car was also debuting a new sponsor, RMS Healthcare out of Nevada. 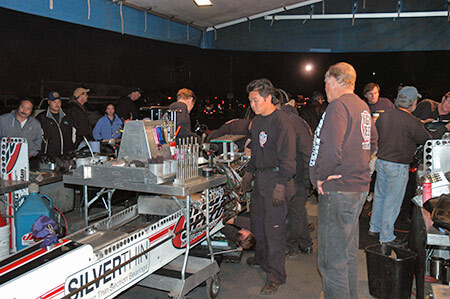 After arriving Thursday night, Troy Green managed to make a 5:00 a.m. curtain call to do a live morning news program with Kate Larson of KBAK-TV to promote the event. 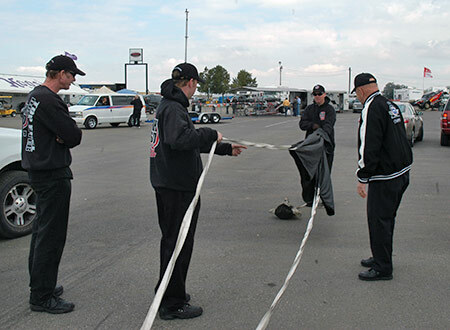 With the first qualifying session not scheduled until 2:00 p.m. the team was in laid back mode dealing with a cold and cloudy morning. 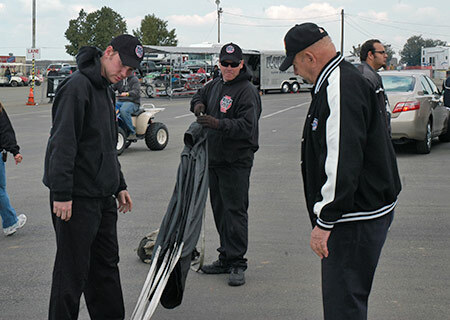 How many people does it take to pack a chute? 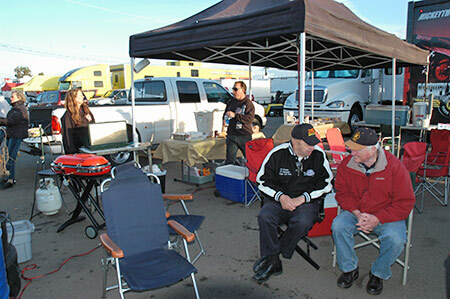 This morning it took three plus a couple of advisors. 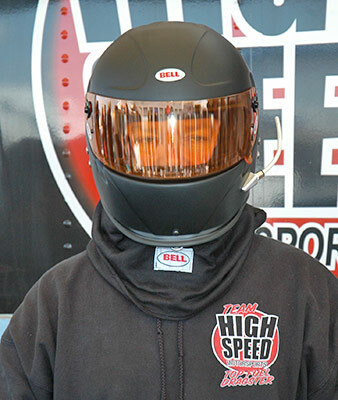 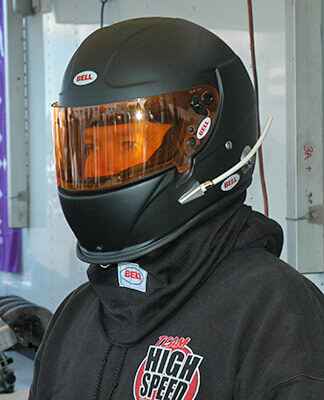 Troy Green took delivery of his latest generation Bell helmet but did not use it for this event as it did not have the wireless communicator installed yet. 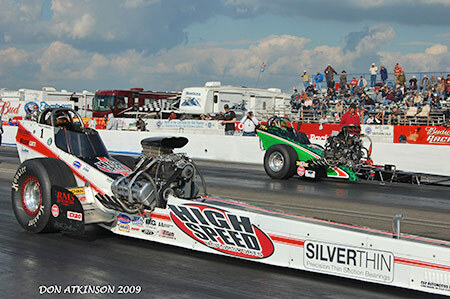 Following some major down time for Horan's crash and a couple of oil downs, Green and Jim Murphy were the last pair to take a shot at the tricky track. 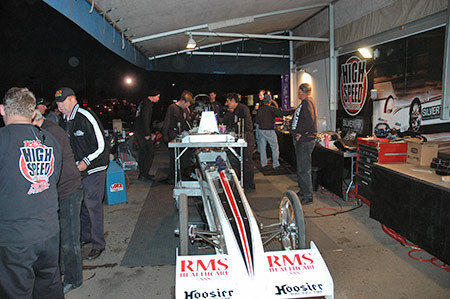 Bellemeur gives Green his distance to the staging beams then Crew Chief Brett Johansen waits for the signal from Murphy's team that they are ready to move in. 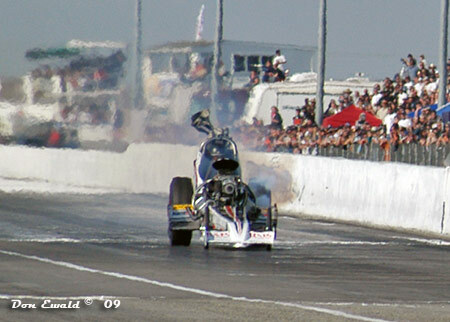 The car left good but broke the tires loose about 150' out. 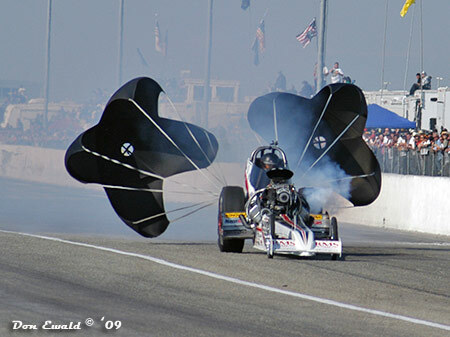 Green did a quick pedal job and tried to save the pass. 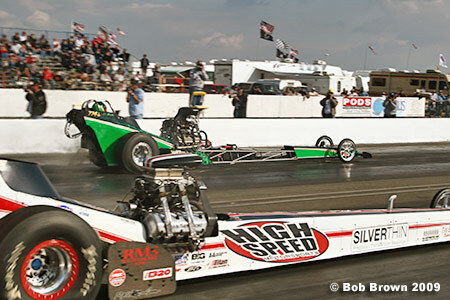 After more skating Green, knowing they had two more shots on Saturday, aborted the run and coasted through with a 6.26 at just 186.79. 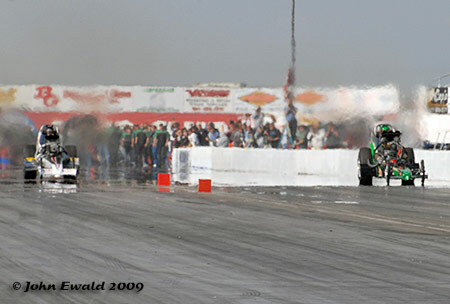 Murphy got very close to the left guardwall and shut off as well. 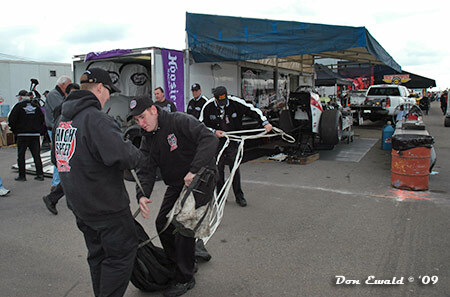 Back in the pits the crew did their standard maintenance to get ready for session two Saturday afternoon. 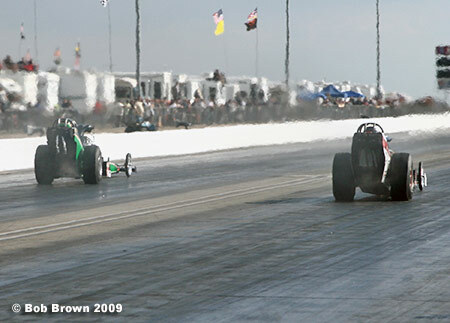 In session two Green got the more favored left lane and was paired with Brad Thompson who was at his first event following a horrible crash at Boise in June of 2008. 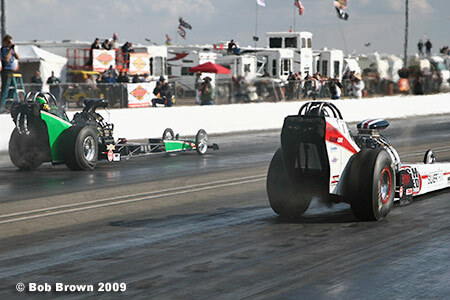 Green left hard and had no problem keeping the tires stuck and in the center of his lane. 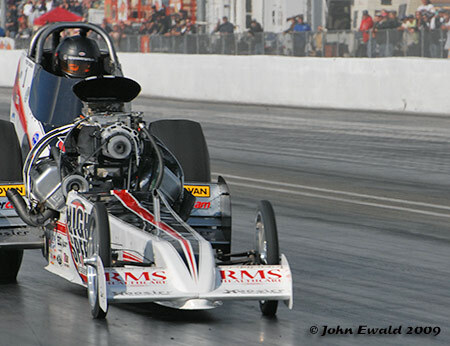 Green stopped the clocks with a nice 5.822 at 261.78 (top speed of qualifying) to move up to the #3 spot. 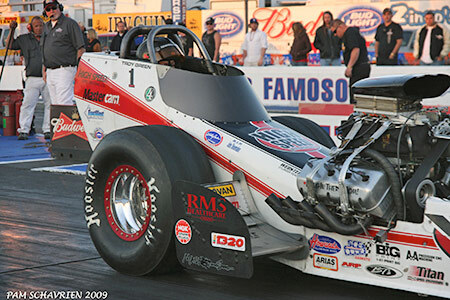 5:38 p.m. 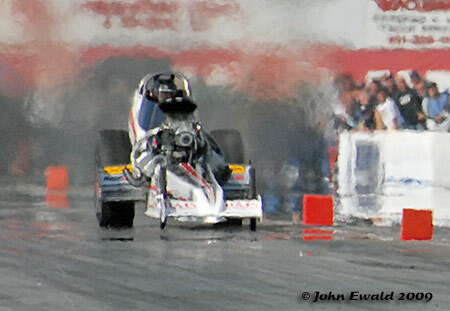 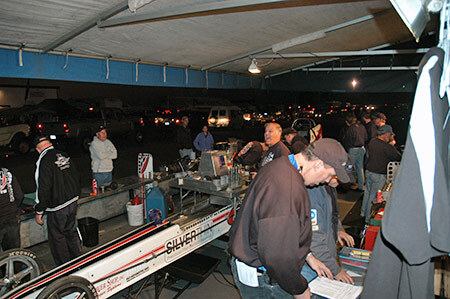 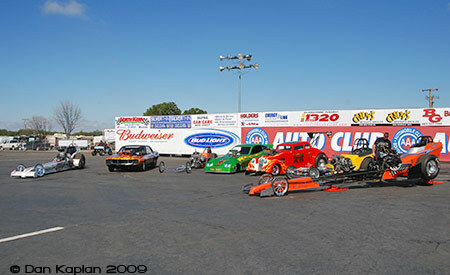 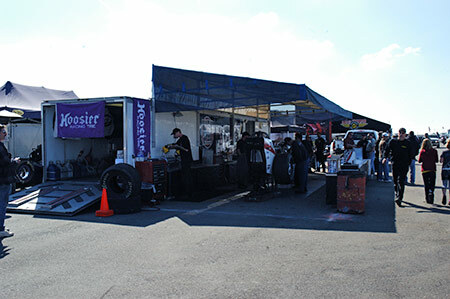 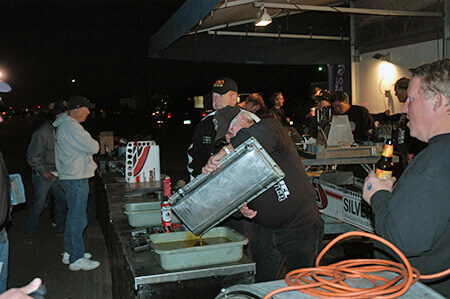 It was cooling fast and five Top Fuel cars rolled into the lanes for the last session. 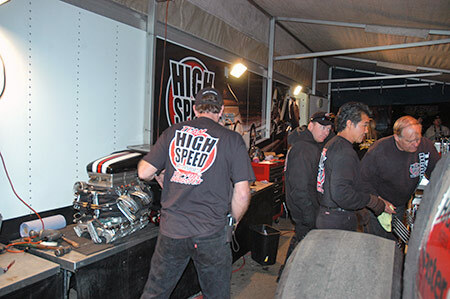 With only 16 cars left running, everyone was in the show and with the weather change there was not much opportunity for most of the cars to improve their positions. 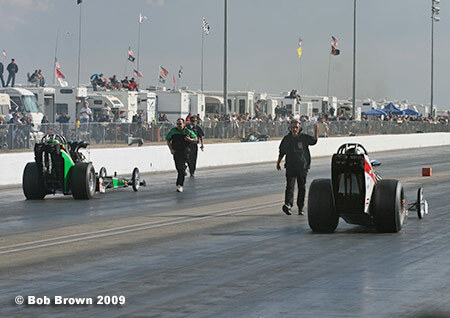 One of the five was Troy Green and he had the track all to himself. 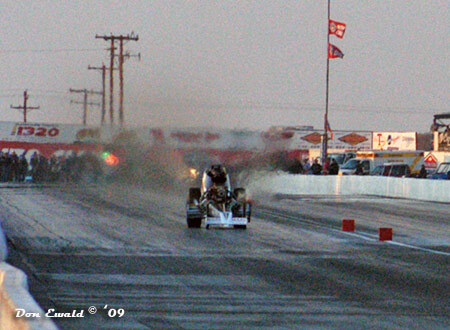 The car had a decent leave but was a tad slower on the 60' time. 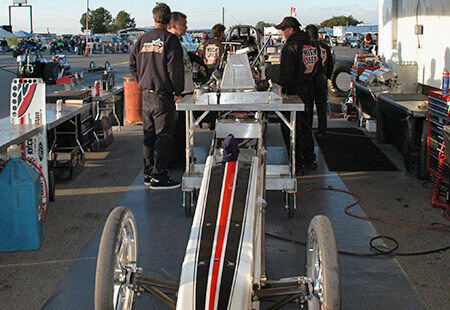 Although the best run of the session, Green's 5.933 at 252.38 was a tenth shower than the previous session so he ended up in the #4 hole for eliminations on Sunday. 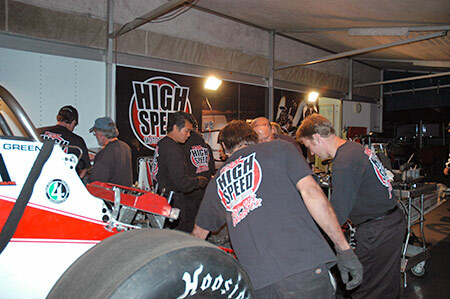 Friday evening was spent getting the car ready for first round on Sunday. 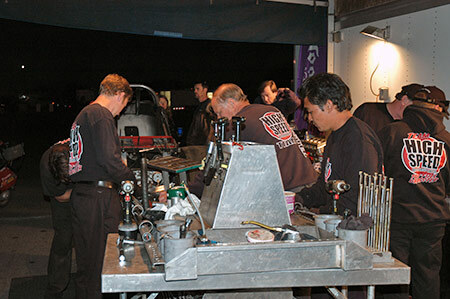 As usual, each crew member had their particular job and they all do it well.